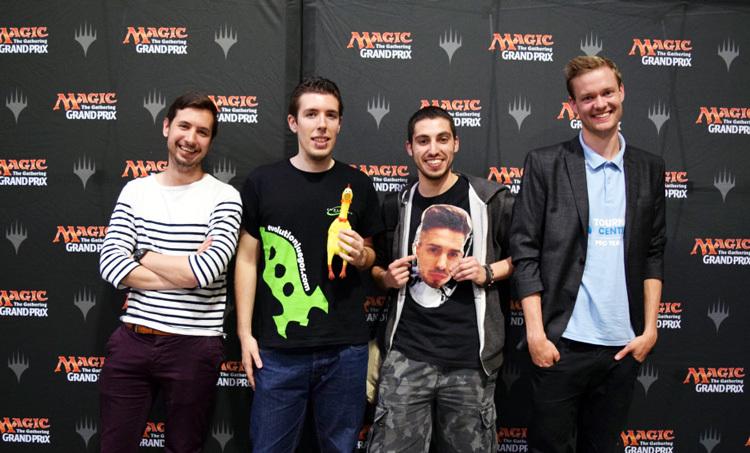 1,477 players had been in the running originally, but after nine grueling rounds of Legacy, and after what must have been quite a few unintentional draws, only four players remained who sported a perfect record of 9-0: Niels Molle, Rodrigo Togores, Gianluca Gazzola, and Thomas Enevoldsen. Thomas Enevoldsen had been playing his trademark Death and Taxes, Rodrigo Togores had brought Storm, Gianluca Gazzola had chosen Temur Delver, and Niels Molle had been piloting Sneak and Show. Four players, four different decks, four unique strategies ... Legacy at its finest!